Our cabins make the perfect home base for you activities in the cool pines. 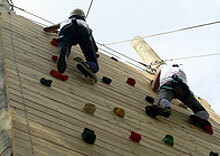 We have both full cabins with all the amenities and bunk cabins with limited amenities. 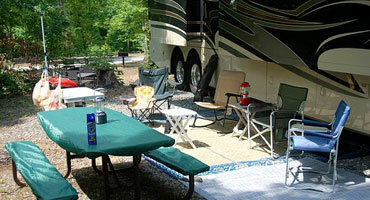 Keep your tent and provisions on dry ground, yet enjoy the rustic pleasures of camping in a tent. Raised platforms that are both solid and convenient. The perfect place to park your home away from home. Throw out the welcome mat and get busy enjoying everything our beautiful mountains have to offer. Anniversaries, public functions, holiday get-togethers...whatever it is, we have the room and the accomodations. 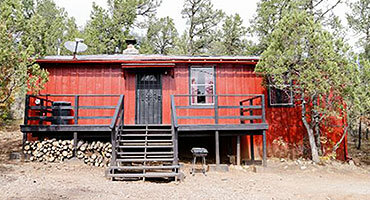 Camp of the Tall Pines consists of 220 acres of beautiful mountain property nestled in the cool pines of the Sacramento Mountains and completely surrounded by the Lincoln National Forest located near Cloudcroft New Mexico. If you’re looking for serenity in the woods, this is it. From full service cabins to cabin clusters, tent sites, bunk cabins and RV’ing, we’ve got it all, and we’ve got it with space to boot. Want to re-energize your students, staff, or employees? Is morale lacking in your organization? Need some team-building tips? Step out of the comfort zone and into the learning zone. Riders start your engines. Bring your ATV and experience the cool tall pines, the awesome views and the clean crisp air of the Land of Enchantment. See and feel it all upon your very own ATV. Experience the forest from atop your new 4-legged friend. 7500 feet is above the heat and under the cool pines in some of New Mexico's most beautiful and scenic mountains. 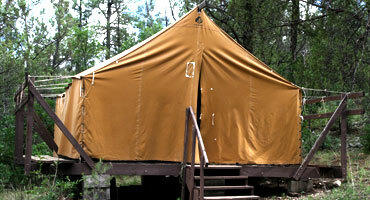 Camp of the Tall Pines is located in Unit 34. We're 220 acres tucked in the Lincoln National Forest. Combine fresh pine air and low impact physical activity. Our 18 hole Disc Golf Course is one of over 3000 established disc golf courses in the world. © 2018 Camp of the Tall Pines. All Rights Reserved.